When we hear the word Ethiopia many thoughts and images come into our minds: Bob Geldof and the Band Aid/Live Aid campaigns; the famine experience common to both Irish and Ethiopian histories; the recent visit of President Higgins to Ethiopia or perhaps the Ethiopian Tourist Commission’s slogan: ‘13 Months of Sunshine’. 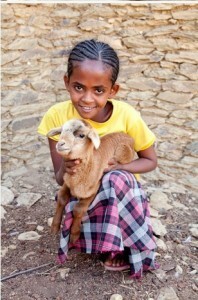 We may now think of Mahlet, the 13-year old Ethiopian girl who featured on this year’s Trócaire Lenten Box. 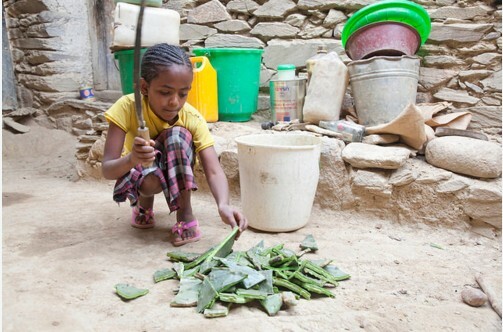 It is true that Ethiopia – like many countries in the Global South – has many sides, many complexities and many problems but as Trócaire’s focus country of the 2015 Lenten campaign Ethiopia has become more familiar to Irish people. As a volunteer for Trócaire, I travelled to Ethiopia in 2014 to see for myself the great work and progress being made by local communities through the support of the Irish people. Trócaire works closely with local Ethiopian organisations and partners employing local workers who have the knowledge of and insight into life and its challenges in Ethiopia. This cooperative approach ensures effective projects are carried out for the benefit of those directly involved on the ground. These people are some of the poorest, the most marginalised and the most neglected in the world. 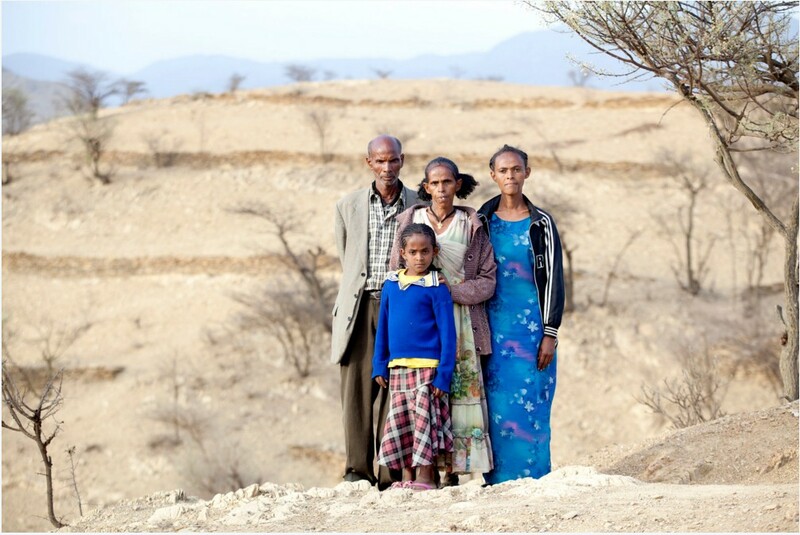 It was impossible not to recognise the devastating effects of climate change on the lives of local Ethiopian farmers and their families. The scarcity of water and the common droughts seem to be on everyone’s mind. The rains simply do not fall as often as before or in sufficient amounts to grow the crops needed to survive. Stories of wells drying up, crops failing and livestock dying abound. In addition to their already demanding household chores women and young girls have to walk – often up to five miles each way – to collect water. It became clear that trekking through the countryside under the unkind Ethiopian sun was both time consuming and physically exhausting. Faced with these stories it is easy to become disillusioned. However, when local communities speak of how Trócaire has supported various projects and how these projects have made life better for them it is comforting to know that even a little can go a very long way. On our trip we visited rehabilitated wells where local people get clean water for their families, crops and livestock. We visited a soap making project where local women have received financial support and business training enabling them to produce an item of market value to sell. The most impressive project we visited was perhaps also one of the smallest in appearance. It was a micro-finance project. This project allows people to save money and it gives loans to small-scale farmers and their families for expenses relating to their farming or to the schooling of their children. The project demands, however, that people borrow and repay reasonable amounts within their means thereby ensuring its success. It was run from a one-roomed building with a desk and a few benches. In ways it was hard to believe how something so modest could have such a positive effect on so many people in the village. This lady was not asking for charity. This lady was not asking for handouts. She had borrowed and repaid her loans. She, like so many others in her community, was demonstrating what was possible when people who are born into a situation over which they have no control, are recognised for what they are: hard-working people who just need a hand up on their feet. Once standing, they can manage themselves. They know what they want and how to achieve it. All they need is to be given a level playing field. Mahlet Mahlet Ali (13) from Sebeya, Tigray, north Ethiopia who features on the 2015 Trocaire box. Her family will benefit from a new irrigation system being built by Trocaire and its local partner, ADCS. Photo: Jeannie O’Brien. This micro-finance project, supported by donations from the Irish people through Trócaire helped to level out the pitch for this community. On a personal level, sitting in that slightly darkened room in a small village in rural Ethiopia listening to this lady talk of how despite the many droughts and the lack of rains she has been able to achieve so much, it was hard not to feel proud of the generosity of the many Irish people up and down the country who have recognised this lady’s right to a fair chance; it was hard not to feel proud of being part of the Irish tradition of the Trócaire Lenten campaign. And it was hard not to feel incredibly grateful for having the opportunity of seeing how much a difference the Trócaire Lenten campaign can make to a project like this one. This project was run by locals for locals who were helping each other in their day-to-day lives. They were saving for when the rains would fail. They were saving for a sunny day.